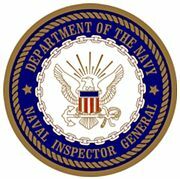 The Office of Naval Inspector General for the United States Department of the Navy was established during World War II to make investigations as directed by the Secretary of the Navy and the Chief of Naval Operations. 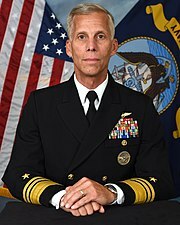 The current mission of the Naval Inspector General is "to inspect, investigate, or inquire into matters of importance to the Department of the Navy and maintain the highest level of public confidence". In February 1942, while undergoing conversion in New York harbor, USS Lafayette caught fire and subsequently capsized. in addition to one person being killed in the disaster, the loss of such a prestigious and well-known ship was a tremendous embarrassment to the Navy. Congress launched an investigation into the disaster to determine if the ship's loss was an act of foreign sabotage or merely negligence. In its report, Congress expressed frustration with the multiple investigative agencies within the Navy. The committee felt that the Navy Department needed an office of Inspector General to "be charged with the duty of keeping Congress and the Secretary of the Navy informed as to the conditions of the naval service. Secretary of the Navy Frank Knox established the Office of Naval Inspector General (NIG) on 18 May 1942 with General Order 173. Initially, the Naval Inspector General was part of the staff of the Commander in Chief, United States Fleet. The initial staff included one deputy and three assistant inspectors. The office served throughout World War II as a 'troubleshooting' unit for the Chief of Naval Operations (CNO) by conducting inquiries and reporting on all matters which affected the efficiency and economy of the Navy; and by conducting inspections and investigations into any naval matter as required by the Secretary of the Navy, CNO, Congress, or by law. The Goldwater-Nichols Act in 1986 transferred the NIG from the Office of the Chief of Naval Operations to the Office of the Secretary of the Navy. ^ a b "Naval IG History". Archived from the original on 2013-02-20. Retrieved 2013-06-03. ^ Julius A. Furer, Administration of the Navy Department in World War II (Washington: Government Printing Office, 1959), pp. 17-18, 162-163. ^ "Navy.mil Leadership Biographies". navy.mil. Retrieved 2018-12-26. ^ Dan Petty. "Navy.mil Leadership Biographies". navy.mil. ^ "Navy.mil Leadership Biographies". navy.mil. Retrieved 2018-08-08. This page was last edited on 26 December 2018, at 19:41 (UTC).